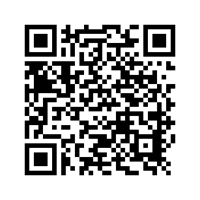 Sample QR code that links to this web page. After a slow start in mobile marketing circles, QR (quick response) codes are becoming more mainstream in the United States. I'll skip the history part of this explanation, since if your reading this you obviously have a clue and are more interested in "How do I implement?" as opposed to "How will it help me?" QR codes are appearing everywhere - early on in major print publications and plastered on storefronts and buildings and now on the back of business cards and direct mail pieces to name the major marketing strategy adoptions. . At this rate, it won't be long before technology savvy people can immediately recognize and use QR codes. So how can small businesses take advantage of this emerging technology? The most obvious use of QR codes is to drive real-world customers to your company's Web presence. This is nice and all, but simply sending people to your site's homepage isn't always going to be particularly useful. Instead, send them to a specific destination on your site. For example, build a simple, mobile-friendly customer survey. Enter people who fill it out into some kind of giveaway and (transparently) collect their email addresses for future marketing messages. Rather than sending users to your own site, why not connect them with your social media profiles? Sending them to your Facebook page or Twitter stream will give them the opportunity to 'like' or follow your brand and continue to receive updates long after they've walked out the door. It's now even possible to encode a QR code to automatically 'like' a brand on Facebook. Including a QR code on one's business card can be one way to drag that die-hard relic of last century into this one. As long as business cards still exist in paper format, we might as well put them to some good use in the digital space. Embed a link to your company's Web site or social media presence in a QR code might not flood your site with traffic, but it can help reinforce those real-world connections you make. Yes, print advertising. Newspapers and magazines aren't dead yet, and many advertisers are finding that using QR codes in ads are a good way to bridge the gap between print and online. Unlike other print ads, those containing QR codes can be measured for their effectiveness. This option may not make sense for every type of business, but local service-based companies and others many find it beneficial in some markets. There are plenty of examples of scavenger hunts and similar real-world games that have been played using QR codes. In a nutshell, the organizer places a series of printed QR codes throughout a physical space and offers participants prizes - either digital or physical - for finding them. Small, local businesses can easily adopt this model for promotional purposes. Even if it doesn't directly generate any revenue, it can get people engaged with your brand.